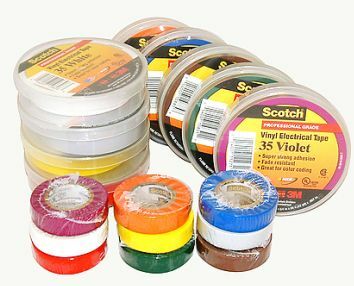 Scotch® Vinyl Electrical Tape 35 is a 7-mil thick polyvinyl chloride (PVC) color-coding tape. Outstanding electrical and mechanical properties make this tape excellent for use in phase identification, color coding of motor leads and piping systems. We are rendering a wide range of Vinyl Electrical 3M Tapes that are procured from world’s top most manufacturers. 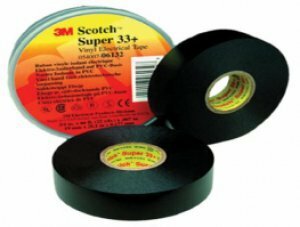 The 3M Tapes that we are offering are professional grade vinyl electrical tapes designed to perform continuously in a wide temperature range. The 3M Tapes offered possess outstanding electrical and mechanical properties that make these tapes excellent for use in phase identification, color coding of motor leads and piping systems. Owing to our reputation, we have built a wide distribution network, making us capable of catering the orders from the clients within the given time frame. Get in touch with us to obtain 3M Tapes in UAE at leading market prices.